Vine is a very popular short-video creation application that is available on all major mobile platforms. The application lets users create six seconds short video clips, but until now, the application was missing support for Android 2.3 Gingerbread. Android Gingerbread 2.3 still runs on 24 percent of the devices, according to a Android Developers blog. 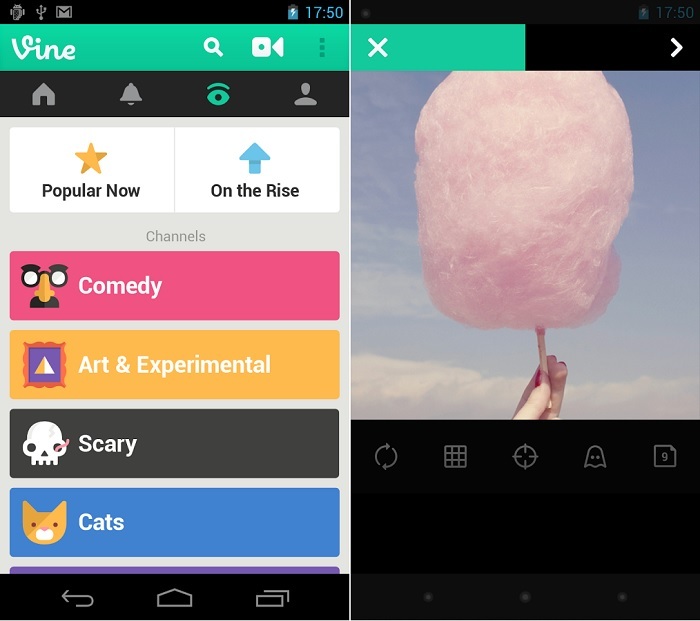 Recently, Vine for Android received an update that caters this issue. The latest version brings support for Android devices running Android 2.3 Gingerbread, but its only limited to viewing video clips shared on the service, not uploading them. It’s disappointing to see there’s no way for users to upload videos to Vine, even when connected WiFi. However, the folks at Vine do mention that its because of ‘device limitations’. Nonetheless, there are bunch of videos available in the application to entertain you. We’re introducing a new version of Vine for Android. Now you can use Vine to watch short looping videos on your Gingerbread (Android 2.3) device. From the Explore tab, you can find popular posts, see trending tags and browse channels to watch videos sorted by categories such as comedy, nature and sports. As you find posts you enjoy ––maybe this one of penguins in Antarctica or this one of a never ending roller coaster catches your eye –– you can revine the post to share it with people who are following you. Simply head over to Google Play Store and download Vine for your Gingerbread device.